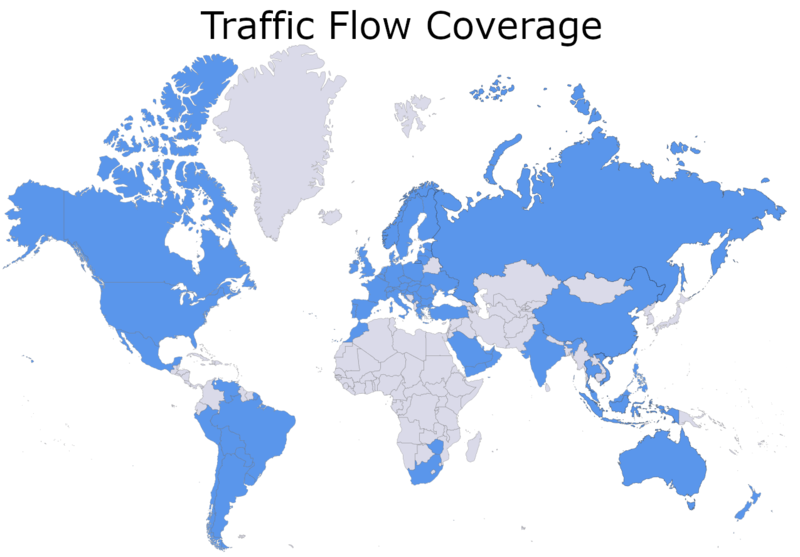 Bing Maps APIs provide traffic coverage for the following countries. Traffic incident text is provided in the primary language of the country where the incident occurs. Traffic flow refers to lines of color representing different levels of traffic congestion that display on a Bing map. Traffic incidents are reports of traffic issues, such as the report of an accident. 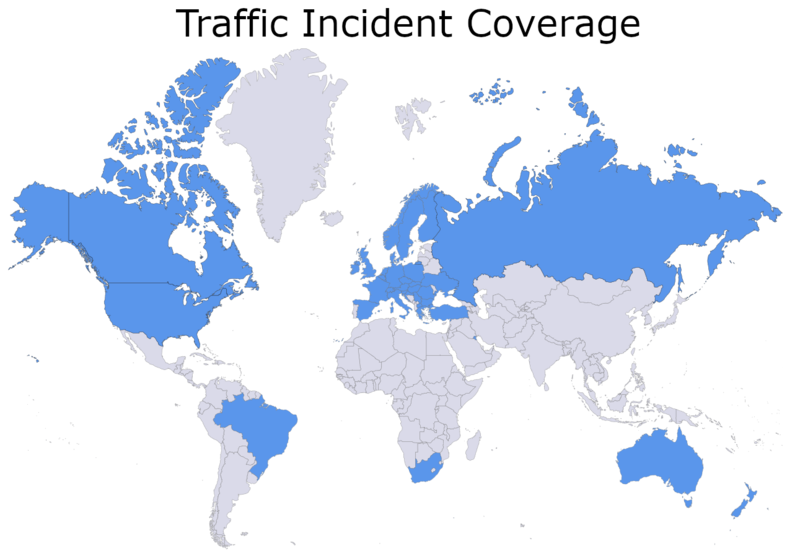 Traffic incidents are provided by APIs such as the Bing Maps Traffic API and Bing Maps V8 Web Control Traffic Module.